Review of the Christian movie that defends marriage in Hollywood. It came in fourth in the ratings even though it was only in 850 theatres. With traditional marriage on the rocks, this movie is a strong statement in defense of the God-given gift of marriage. Click here to read the review. Married Priests? How Could They Afford Wives? 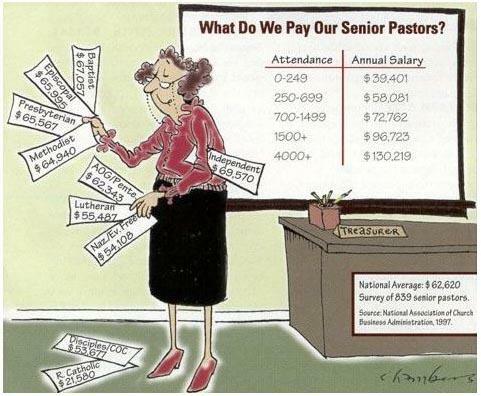 Even if priests did marry, how would they afford a wife with their meager salaries? Take a look at this comparison from a few years ago. Catholic priests are at the lowest rung of the salary scale compared with the Protestant denominations. I ask about affording a wife with tongue in cheek, but there is certainly truth to the matter.